Whether you consider yourself a wine rookie or a certified connoisseur, you can agree that a wine bar is an excellent place to sample new wines, learn from sommeliers, and enjoy rich conversation and company. Delray Beach has an outstanding roster of wine bars, ranging from rustic and elegant to bright and modern. 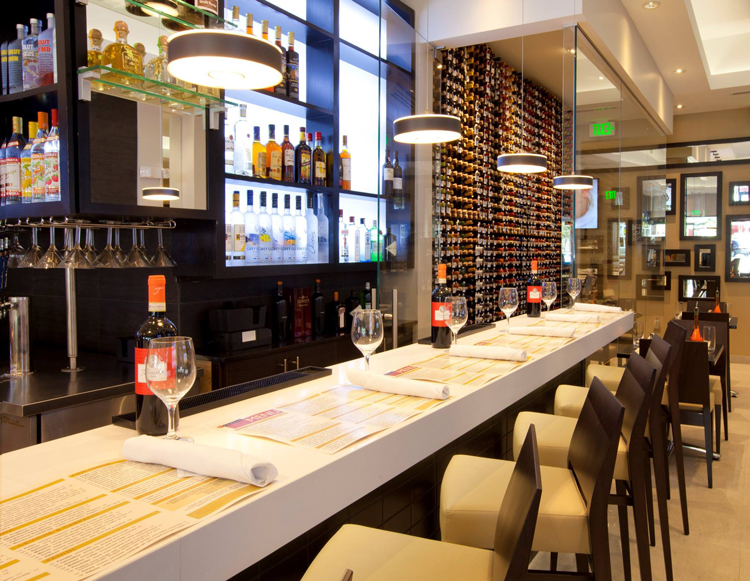 Each offers a welcoming environment, a variety of food options, and of course — an impressive wine selection. Visit these wine bars in Delray Beach for happy hour, for a delicious food/wine pairing, or in celebration of Wine Wednesday! N2 Wine Bar offers a unique wine tasting system that is well worth experiencing! Simply fill a card to swipe at any of the 56+ wine dispensers lining the walls to receive either 1, 3 or 5 ounce pours of wine. Enjoy this self-guided wine tasting adventure and recline in the lounge area equipped with a bar, couches and high-top tables. N2 Wine Bar offers a daily happy hour from 5–7 p.m. and they celebrate Wine Wednesday every week with 25 percent off for all ladies! This elegant and romantic bistro is situated in the heart of Pineapple Grove. It’s likely you’ll be greeted by the friendly and hospitable owner, Joseph, upon your arrival to ensure you feel right at home. Order small bites or an entire meal from their authentic Mediterranean-inspired menu for lunch, dinner or dessert. And pair your selection with something from Joseph’s impressive collection of 2,000+ bottles or the extensive selection available by the glass. 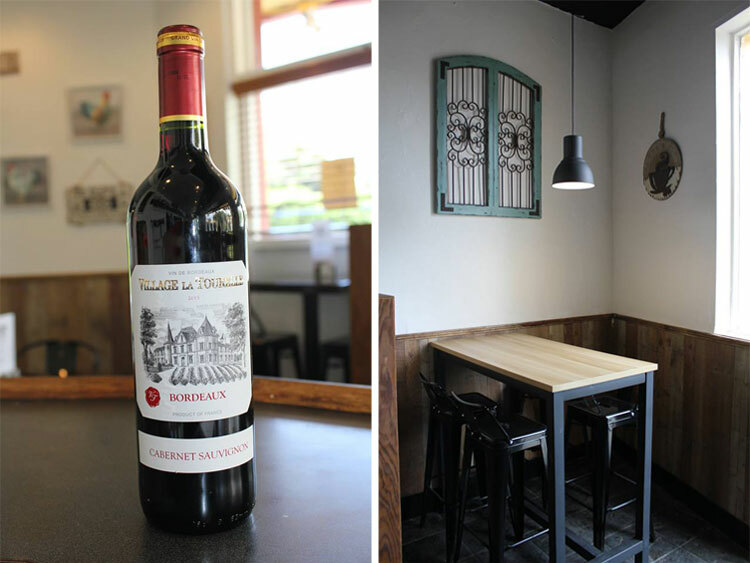 With walls lined with wine bottles and a knowledgeable staff, Joseph’s Wine Bar and Cafe is the ultimate place to taste and savor delicious wines. Angelo Elia Pizza, Bar and Tapas is perhaps best known for their delicious pizzas — and rightfully so! This authentic Italian eatery serves an impressive selection of pizzas, tapas, pasta dishes, and other Italian specialties. Plus, the restaurant has a gorgeous wine bar serving a wide range of wines sourced from the finest wine regions, from Tuscany to Napa, and everywhere in between. This chic, modern and casual eatery is the perfect place to unwind with a glass of wine at the bar or indulge in a hearty Italian meal paired with a red or white wine. Peruse the impressive selection of wines available at Angelo Elia, including bottles to share or individual glasses. With a number of locations (most of which are in Pennsylvania!) and one in Delray Beach, this health-focused eatery is dedicated to all things local and sustainable. Harvest Seasonal Grill & Wine Bar was born out of a desire to create a dining experience focused on sustainable, health-conscious and locally sourced cuisine. That’s why they work closely with 75 local farmers to source only the freshest and highest quality ingredients. The wine bar at this cozy, sophisticated eatery is just as focused on sustainability as the kitchen is. The progressive wine list features over 50 wines available by the glass, many of which are certified sustainable. Cozy up to the bar with a glass of wine or pair your wine selection with something on the fresh, seasonal menu at Harvest Seasonal Grill & Wine Bar. Keep things casual and unleash your creative side with a visit to Vino Van Gogh Paint Wine Bar, a paint and sip studio in Delray Beach. Follow the instruction of an art teacher as you complete your very own masterpiece while sipping on your drink of choice. You can bring your favorite bottle and food or order from the on-site bar serving beer, wine, and soft drinks. Plus, you can ask Vino Van Gogh to provide a delicious spread of food for your event, as they have partnered with several local restaurants and caterers. Vino Van Gogh Paint Wine Bar makes for an excellent date night, girls’ night, birthday party or corporate event activity! This quaint, laid-back French eatery is known for their incredible chicken. Everything here is farm-to-table and packed with unbeatable flavor. But you may not realize that La Poulette is also equipped with a full wine bar, serving a variety of wines from around the world. They even offer monthly wine tastings! Whatever you do, top off your experience at La Poulette with a decadent French dessert — like their popular handmade crème brûlée. What wine bars in Delray Beach get your stamp of approval? Let us know in the comments below.